Ian Altenbaugh is one of the most interesting guys I know. I became aware of Ian through his work with “Hockey’s Future” a site covering NHL draft prospects. He has covered the Pens for them since the 2008-09 season and was an editor from 2010-14. That’s interesting enough but Ian is also a filmmaker, screen writer and serious foodie. AHL Wilkes-Barre/Scranton Penguins' goaltender who could very well be the next Marc-Andre Fleury. 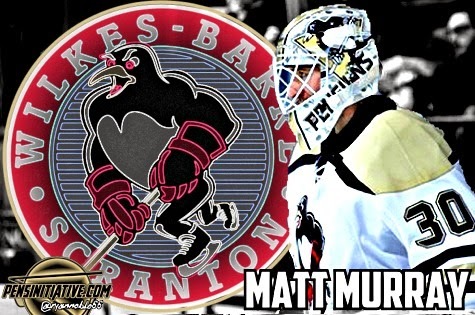 Murray was Pittsburgh’s third-round pick in 2012 and currently holds the AHL shutout record. Actually, his ridiculous shutout streak just came to an end Sunday at a record-setting 304:11 minutes of scoreless hockey. 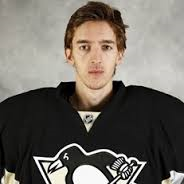 Pens Initiative: Matt Murray started the season as Jeff Zatkoff’s backup. He missed some time with an injury, but now leads the AHL in goals-against average (1.65), save percentage (.936) and shutouts (eight). On “Hockey’s Future” you rated him at the grade of “C”. Does his performance have you rethinking that grade? Ian Altenbaugh: Murray's numbers are downright ridiculous. The type of numbers I post playing NHL 15 in easy mode. But, it can't be overstated enough that those numbers are in the AHL. The talent pool in the AHL is not particularly deep compared to the NHL, being mostly a mix of inexperienced players, guys who have spent their career as an AHL callup, and minor-league tweener types of split their years between the AHL and ECHL. As a result, most teams are very rigidly coached. The goaltending numbers are often a reflection of that. Murray posted a 6-6-2 record, 2.20 goals against average, and a .912 save percentage in the 2014 part of the season. Since the turn of the new year, Murray has been 10-2 since then, allowing only 12 goals in 13 starts. Those numbers are a little misleading though, because Murray was a backup in February (where he went 4-0 on the month and allowed a single goal), with Zatkoff seeing the bulk of the starts. That's not to diminish Murray's accomplishments, just to provide the overall stats with a little more context. Right now he has six shutouts in his last 13 starts too. At some point his numbers are going to dip. How far his numbers dip, and how he plays over the stretch run and into the playoffs will affect Murray's grade when things are redone in the fall. PI: John Hynes has had 6 different Goalie of the Month award winners since 2010. Can you speak to what Hynes’ system as well as playing behind such a talented defense corps has done for Murray’s development? Altenbaugh: Hynes has done a very good job in his tenure as the Baby Pens coach. Being an AHL coach is very much like being a college coach in the sense they are tasked with both winning and developing players (often many around the same age, 20-25) at the same time. You also don't necessarily have the luxury of trading a player, you have to bring out the best in that player, all while still trying to win. Hynes has used a few different systems in his time as the Pens coach and coached a boatload of different talented young defensemen, but one thing that has remained consistent is he has created a winning environment for his team. Which is really important for a goaltender. It's easier to improve and develop when you are winning. We forget these guys are doing this for a job. Everyone does better at their job when they are confident in themselves and coworkers. The Baby Pens currently play a system that is similar to the Pens from a philosophy standpoint, but the on-ice product is a little different because of personnel. The team is strong on the forecheck, and is built similarly in that they have three balanced lines that can score. Defensively they have one pairing that is good at moving the puck in Dumoulin-Chorney, another line that can shutdown opposing top lines in Harrington-McNeill, and a third pairing of Goers-D'Agostino that can move the puck and provide good positioning. The Baby Pens had Pouliot and Samuelsson in their pool earlier in the year, but Murray has done his serious damage behind the six mentioned earlier. Murray's development will also benefit from the presence of goalie coach Mike Bales and goalie development coach Mike Buckley. The Penguins did their goaltenders well by bringing them into the organization. Not to knock Gilles Meloche, but the difference in Fleury has been striking since Bales arrived prior to the 2013-14 season. PI: What similarities and what differences do you see between Marc-Andre Fleury and Matt Murray? Altenbaugh: Fleury was and probably has a lot more overall talent than Murray ever will. From a purely talent standpoint, Fleury is probably one of the top goalies in the league. But I don't think anyone has ever quested Fleury's talent. It's been a matter of the sum being less than the parts. I think a lot of the same things could be said about Murray. He's maybe not as talented as Fleury, but he's three inches bigger and possess exceptional athleticism. Both can get caught flopping around and or swimming in the crease on 2nd or 3rd rebounds. Neither will draw comparisons to Marty Broduer with their puck-moving ability either. Both seem to play better when they see a regular amount of shots too. Not necessarily getting perpetually shelled, but both seem to do well when they are involved in the game, even if it just means occasionally centering pucks for defensemen. 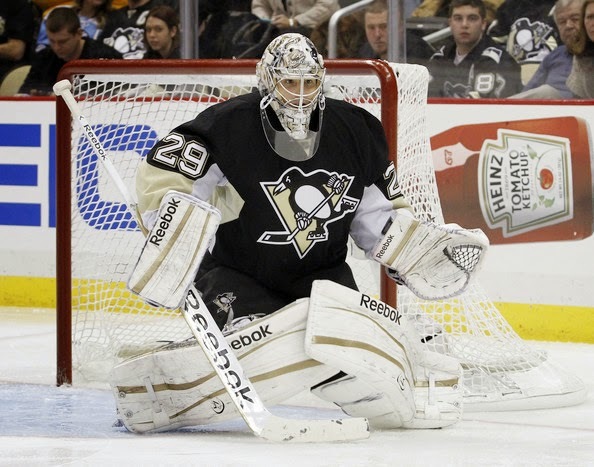 PI: Do you consider Murray to be Fleury’s heir apparent? Altenbaugh: Yes. Tristan Jarry is going to have to blow the lid off things to make me feel otherwise. It might not be a few years, but I think he could be the regular NHL backup by the 2016-17 season. Or he could be traded. Or the Pens could sign a free agent. "Could" and "Might" are key qualifiers here. PI: If the penguins needed to call up a replacement to back Fleury up would you want Zatkoff or Murray? Altenbaugh: I'd call up Zatkoff. At this point, if you're starting your third string goalie in the NHL, and your choice is those two, it might not matter who starts. I don't think either gives you a great chance to regularly win in the NHL at this very moment. But I would recall Zatkoff because that would allow Murray to be the uncontested starter in the AHL, and would be the greatest benefit to his development. Bringing a young guy up to the NHL can work for or against his development. If the Pens however need a goaltender for a practice or to ride the pine, and the Baby Pens don't have a game scheduled, I'd maybe call up Murray. Just to give him a taste. PI: Great stuff, Ian. Thanks! All statistics accurate at time of writing.